With a cotton pad, lightly wipe your face. 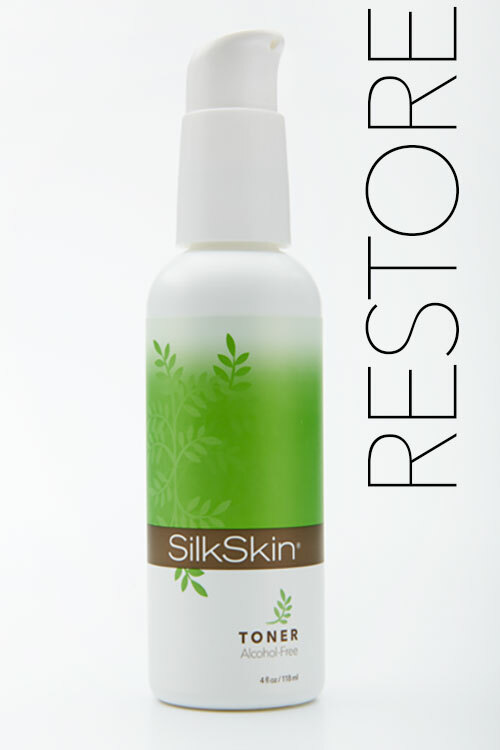 SilkSkin Toner will neutralize your skin after cleansing, leaving it free of any soap or water residue. I really like it. My face is totally refreshed when using it and the scent is amazing with the natural lemon oil. It’s the best Toner I have ever used. The Toner is terrific and does such a great job tightening the pores after I use the Cleanser. I love the fact that it’s alcohol-free and doesn’t dry your face like so many other products. I love this Toner and how well it works with the Cleanser and Moisturizer. It smells fantastic and works beautifully to close my pores after cleansing. I am a happy satisfied customer for close to thirty-years. The SilkSkin Toner is the best toner ever. This Toner has been part of my skin care regimen for years and is the best out there. The best Toner I have found out there. My face loves it.